published by kind permission of Feniton Historical Society. 1588080, Sergeant (Air Gunner) Gordon Channon of the Royal Air Force Volunteer Reserve, 76 Squadron. Son of William and Mabel Elizabeth Channon, of Feniton. Born in Feniton in the March Quarter of 1925. Died 29 January 1944 aged 19. 136405 Flight Lieutenant (Pilot) Walter Paul Clifford of the Royal Air Force Volunteer Reserve. Son of the Revd. Walter Henry Clifford and Gertrude E. Clifford, of Bambalapitiya, Ceylon. Born in 1921. Died 16 October 1945 aged 24. Buried in Naples War Cemetery. D/M 39989 Petty Officer Regulating Ernest Oliver Lovering of the Royal Navy, HMS Hermes. Son of Fred and Mary A. Lovering; husband of Alice D. Lovering of Fenny Bridges, Devon. Born in Feniton in the March Quarter of 1908. Died 9 April 1942 aged 34 when his ship was attacked by a Japanese aircraft carrier. Buried in the churchyard of St Andrew's Church, Feniton. 229552 Cadet Radio Officer Frederick William Woodley of the Naval Auxiliary Personnel (Merchant Navy), H.M.S. Malvernian, Son of William and Eva Woodley of Sidmouth. Born in the March Quarter of 1924. Died 1 July 1941 aged 17. After his death his mother presented a Bible to the Sidmouth Junction Chapel in his memory. 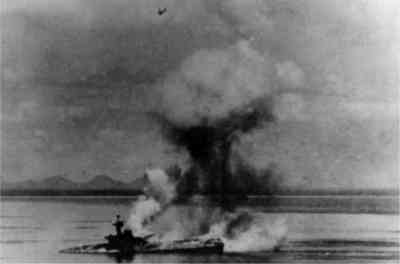 Frederick went to sea in the Malvernian, but his ship was shelled and hit just in the position where he was working, possibly in the radio cabin. After the explosion the crew were unable to find his remains, He was possibly blown to pieces without trace but was not the only man on the ship to be killed - 2nd Radio Officer Robert Starling also "disappeared" in the blast. The badly damaged vessel then drifted off Spain for some days during which some 55 of the crew (including the captain) managed to use the boats to reach Corunna but the remainder were captured by German mine sweepers, taken from their boats and sent to POW camps in Germany, The Malvernian was finally sunk by German aircraft on July 19th 1941 without loss of life.